A mounding and weeping variety with glossy, dark green leaves. New foliage is a rich, coppery red. 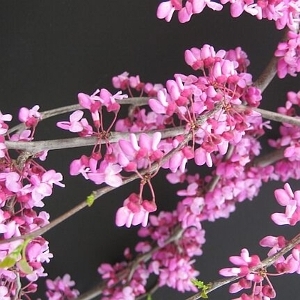 Bright rosy-pink flowers appear in early spring before the foliage emerges. Grows to 5 feet tall with a spread of 5 to 12 feet.